Derek – Season 3 (2018) – What's New on Netflix Canada Today! With Derek, Ricky Gervais forays back into comedy with a sensitive format that sheds awareness along its humorous path. 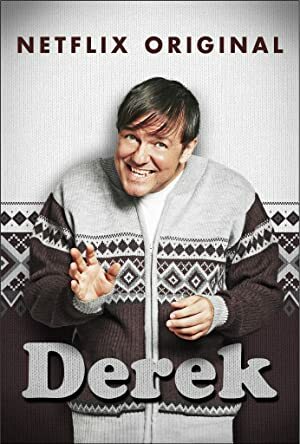 Styled in mockumentary fashion, Derek (Ricky Gervais) is the story of a man who works in a British nursing home, helping to care for its residents. While Derek could be said to suffer somewhat, lacking in some mental faculty, this remains debatable throughout. The story takes place primarily within the nursing home, yet does venture beyond those walls into the world of the norm. The character subjects vary from typically aged to otherwise different-from-norm. Derek’s primary colleague is Hannah (Kerry Godliman), who has apparently worked in the home for some time and exhibits great care toward her subjects.